This post has been brewing in my head for awhile now. About a month ago, I had the opportunity to visit an incredible think-tank incubator session for global entrepreneurs at Station Houston. From the moment I walked into the building, I knew I was experiencing something unique. Although the startup language was foreign to me and I was nervous about being in a business environment, the atmosphere was electric and the collaborative nature of the team eased my nerves as they were bustling with new ideas, positivity and tons of potential. I was warmly welcomed and fell in love with the industrial look to the space — it was sleek and sophisticated and had multiple seating arrangements that were moveable and whiteboards which replaced the walls. I was surrounded by an eclectic group of brilliant people who were listening and bouncing ideas around while capturing the conversation on a whiteboard. This collaborative environment was exhilarating because every voice was a piece to a puzzle that was collectively part of solving a problem and creating a solution. I knew immediately that I was witnessing learning at the highest possible level. Station Houston opened up an entirely new world to me. #WhatIf all classrooms could be like Station Houston? #WhatIf we treated every student as an entrepreneur? Station Houston’s logo, CONNECT. BUILD. LAUNCH. has the perfect ingredients to support and encourage a Makerspaces classroom. #WhatIf more classrooms focused on building community starting by redesigning their learning environment and their curriculum? Luckily, there’s hope, my friend and colleague, Jenn Scheffer lives the CONNECT. BUILD. LAUNCH. motto and has cornered the market when it comes to creating authentic learning experiences for her high school students. Her BHS Help Desk program is leading the way on connecting students with real experiences. 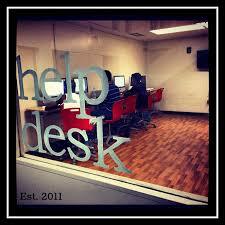 On a weekly basis, her students prepare, interview and host Help Desk Live with industry leaders. This should be the norm for every high school student. How do we encourage more school districts to carve out time and space for teachers to adopt this type of innovative mindset, so more classroom learning environments are designed to encourage and foster such collaboration? Just last week, I had the opportunity to visit Buncee, a powerful yet simple digital literacy tool at their Alley location in NYC. The Alley reminded me of Station Houston with an international community of entrepreneurs sharing collaborative coworking spaces. I immediately felt comfortable and was not nervous about being out of my element. In fact, this collaborative space confirmed my initial thoughts about bringing out the entrepreneur in every student. Buncee’s logo EAT. SLEEP. CREATE. got me thinking further about K-12 education. Are our classrooms designed to have students create and are we preparing them to collaborate with a global world sharing coworking spaces? I continued to wonder, #WhatIf all classrooms looked like Station Houston and the Alley? #WhatIf educators thoughtfully designed classrooms and curriculum to bring out the genius in every student? #WhatIf second grade teacher Kayla Delzer has already created a learning environment that takes the startup mentality and makes you feel like the 21st Century Classroom is like Starbucks? Walk into her classroom, read her blog, follow her Twitter feed and you’ll feel like you’re at Station Houston or the Alley. At the end of the day, nothing is more important than building community in a classroom, at school, in your neighborhood, at your workplace. In many ways, it’s like the T.V. show Cheers because when you gather day after day at the same location with the same people and “…everyone knows your name,” the possibilities are endless. The moral of this post is that it is our responsibility to help prepare today’s students for jobs that don’t even exist yet. The only way we can do this is to follow the lead of connected educators like Jenn Scheffer, Kayla Delzer and all the amazing educators who participated in the #edtechafterdark chat last night. We need to create more opportunities for our students to be entrepreneurs by designing environments that are highly collaborative and provide students ample opportunities to be problem solvers and community builders. It is time for some serious action and MOXIE because our students are counting on us! Marialice, great to read your thoughts! 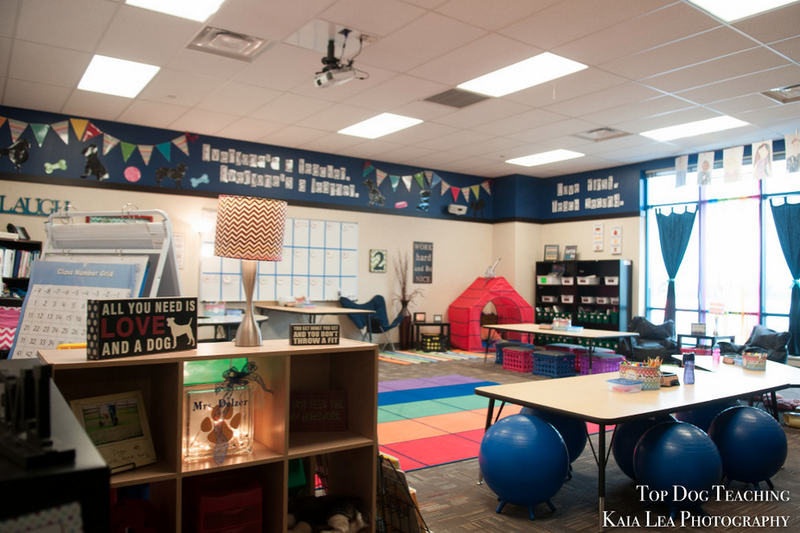 Have read Kayla Delzer’s blog about her flexible classroom and on my way to creating a similar space next year! so thankful I had a chance to use my moxie in your course and hoping we never stop using it with our students!!! If we don’t grow and challenge ourselves, how can they?